Students from Ohio State Mansfield and North Central State College attend a Richland Area Chamber of Commerce event in the hopes of landing an internship with a local business. The next time you are in a doctor’s office, Panera Bread, Pier 1 Imports, or an AMF bowling facility, check out the cabinets, counters and booth walls. They were likely made at Cooper Enterprises in Shelby. Monty Friebel ‘82 and his brother Edward are the third generation to have a hand in the family business, created by their grandfather in 1965. The business has enjoyed success through the years, boasting resilience and financial strength even in a stagnant economy. But company leadership is aging, so to Friebel, it makes sense to invest in the Mansfield campus Business & Industry Internship Program. The internship program got a jump-start this year as The Ohio State University at Mansfield and North Central State College joined forces to win a competitive grant in the JobReady Ohio program. The program grew from 6 students last year to 34 students in the summer and fall semesters as well as signing on 15 partner employers this year. The grant reimburses private industry to offer paid internships to undergraduate students, according to Tracy Bond, internship program coordinator. Bond helps students become “internship-ready” by offering classes in resume writing and career coaching, then matches them with prospective employers who will provide learning opportunities. Friebel met Engineering major Brian Kurtz at a business luncheon at the Mansfield campus. Kurtz has since interned at Cooper Enterprises for two semesters. Another student, Business major Tom Boggs, interned over the summer. Regardless of the internship, Friebel places the interns on the shop floor for the first couple of weeks. “We want them to understand the culture of the business, understand our processes and operations, the parts and products that we are making, materials that we are using, so when Brian begins to make drawings, he will understand what he is drawing, and so Tom will understand the materials better for product identification,” Friebel said. 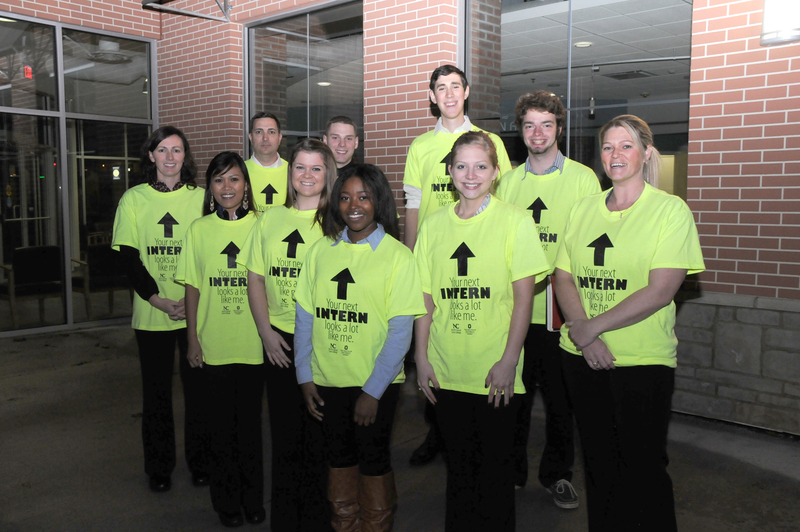 An endowment was established during the But for Ohio State Mansfield campaign to continue to fund internship opportunities. Although Friebel self-funds his internship positions, he hopes other employers will provide opportunities for students through the endowment. Posted by Christina Drain at 8:26pm December 30, 2013 Posted in Alumni, Internships. Bookmark the permalink.